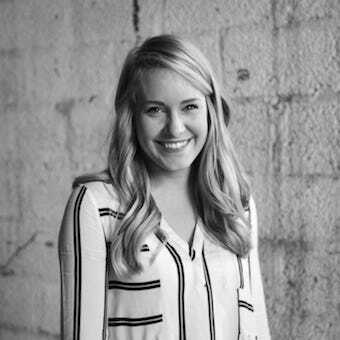 Born and raised in Kennesaw, GA, Tara completed her undergraduate in Marketing from Auburn University in 2014. Desiring to pursue a career with nonprofit marketing, Tara joined the team at Water Mission in 2014. After a year of working in Water Mission’s international headquarters in Charleston, South Carolina, she married Andrew Collins in August and now reside in Roswell, GA.
Water Mission is a Christian engineering nonprofit that designs, builds and implements safe water, sanitation and hygiene solutions in developing countries and disaster areas. We’ve served over 3 million people in 52 countries, and currently maintain staff in nine country programs in Africa, Asia, North, South and Central America and the Caribbean. To learn more, check out Water Mission’s website. Or connect with them on Facebook, Instagram, Twitter or LinkedIn. 1. What excites you most about waking up in the morning and working for Water Mission? Knowing that I have the opportunity to point our donors and constituents to stories and campaigns that matter. About work that changes the trajectory of communities, lives of families, education of kids, and the health of all. My team has the unique opportunity to continue to inspire our audience and engage wise stewardship to provide safe water around the world. 2. What’s the biggest lesson you’ve learned since you began your job? To not take everything too personally. When a pitched idea is rejected, when an article gets rewritten, or when feedback is negative, I initially crumbled as my nature really enjoys people’s approval. It’s been really good to grow (and continue to grow!) in learning from mistakes and learning that negative feedback is often there to sharpen and challenge my work, instead of tear me down. 3. We hear you have a pretty cool story about how you started working with Water Mission. Could you share it with us? It dates back to high school, so I’ll tell the shortened version. I stumbled across the water crisis when I was 16, and it captivated my heart to learn that roughly 1.8 billion people couldn’t turn on a faucet that pours out clean water. I pushed it to the back of my mind, deciding to maybe work in the nonprofit sector in later years. Later years quickly turned into a few years. As I pursued my undergraduate at Auburn University, the Lord opened up doors to run for a position on campus called Miss Auburn. It wasn’t a beauty pageant; it was a historical, elected female role that led the student body to partake in a cause of choice each year. Chosen to campaign for the position alongside four other amazing women, I selected my platform to be the global water crisis. My team decided to take advantage of the campaign week and focused on raising funds for the water crisis to benefit three nonprofits. The campaign, Tara for Water, raised nearly $8,000 to provide clean water. We also won the election, and I had the opportunity to spend my last year at Auburn advocating for the global water crisis, establishing a group dedicated to the cause and inspiring college students to take action. After graduation, I found an opening with Water Mission, a nonprofit based in Charleston that has one of the best and most sustainable ways to solve the global water crisis. It’s been a humbling story to live the past few years, and I’m grateful to spend 40+ hours a week as a marketer so that more people around the world will taste clean water. 4. How has Roam supported you in your job at Water Mission? Transitioning out of an office with 50 coworkers to working alone in a different city was interesting. I’m really glad to have found Roam: it’s the perfect mix of a professional space to work from, staff that engage with you and value your presence, and members that are exciting to learn from. 5. Which emoji do you use most and why? I should probably lie about this, but currently it’s the kissy face with a heart. The second most used emoji is the blue heart, which I use often under Water Mission’s Instagram handle to comment on our partners’ pictures.